Here’s a sure sign spring is coming — the RCMP has sent out its annual invitation for children to help name the German shepherd puppies that the Mounties will train as police dogs. German shepherds will be trained at RCMP Police Dog Service Training Centre in Innisfail, Alta. You know spring is coming when the RCMP has sends out its annual invitation for children to help name the latest litter of German shepherd puppies the Mounties will train as police dogs. 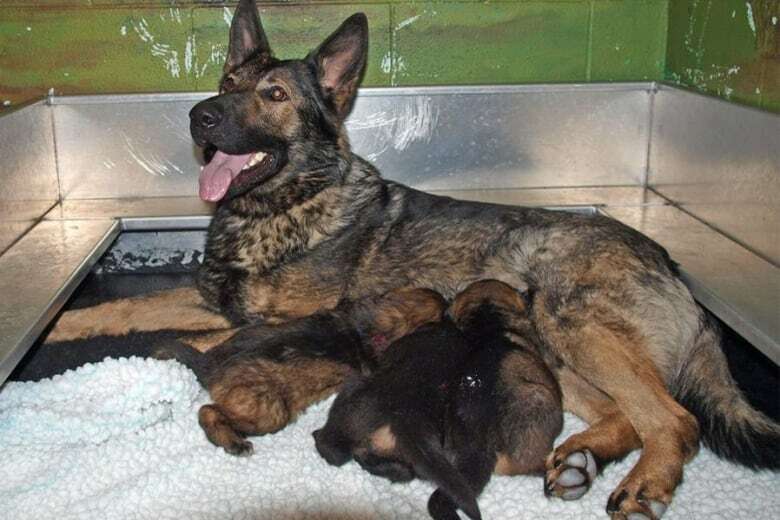 It's expected 13 pups will be born this year at the RCMP Police Dog Service Training Centre in Innisfail, Alta. "The winning names will be original and imaginative and will serve the puppies well during their careers as police dogs," RCMP said in a release. Puppy names must begin with the letter "K" and have no more than two syllables and nine letters. Contestants must live in Canada and be 14 years old or younger. Only one entry per child will be considered. The deadline to enter is April 11. Entries should include: the child's name, age, address, a telephone number and the suggested puppy name. Attn: "Name the Puppy 2017 Contest"
The 13 children whose puppy names are chosen will be sent a laminated 8×10 photo of the dog they named, a plush dog called Justice and an official RCMP baseball cap. Contest winners will be announced on May 11. There will be one winner from each province and territory.